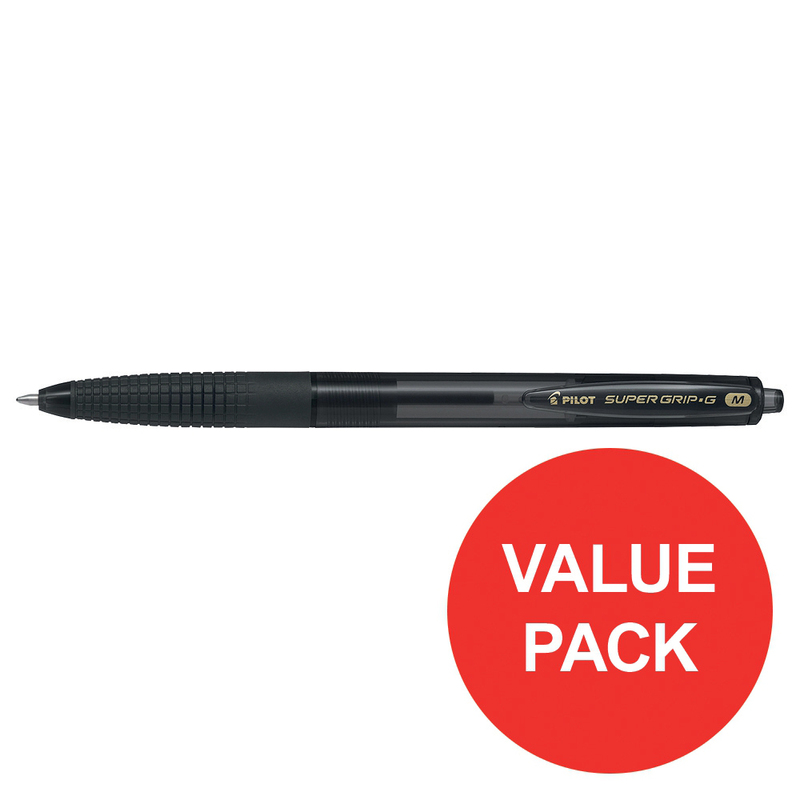 • An ergonomic pen with a rubber grip to ensure better control and a better writing comfort! 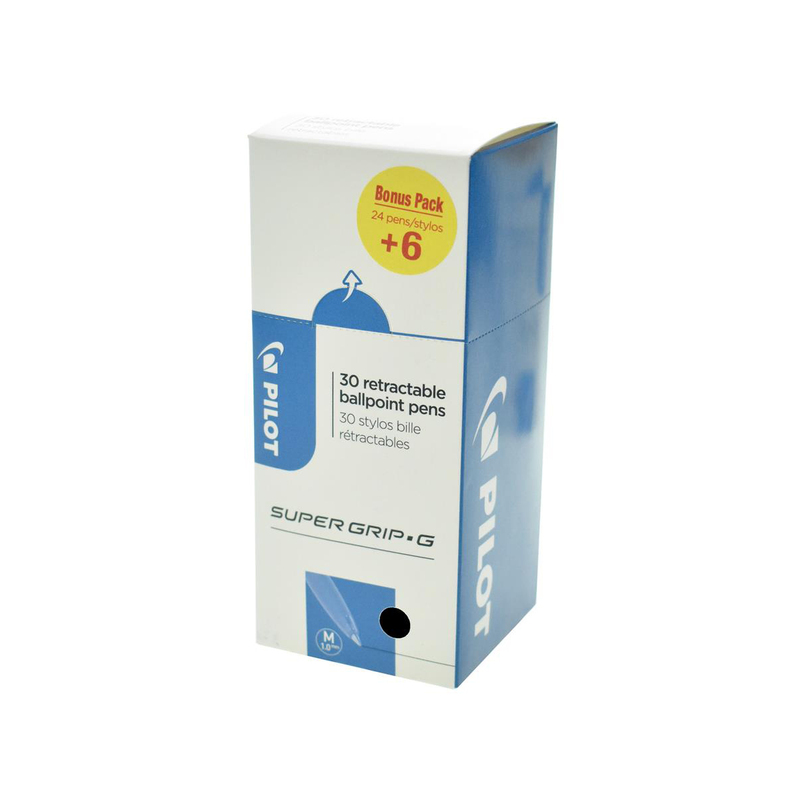 • Retractable tip: a pen ready in one click, no more cap lost! 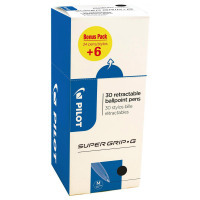 Leonardo Da Vinci wrote: “simplicity is the ultimate sophistication.” Today, Super Grip G proves he was right. With its new generation ink providing unprecedented writing pleasure, and its comfortable integrated grip, Super Grip G really does have everything going for it, not to mention its 2 tip sizes (fine and medium), 4 colours (blue, black, red and green) and the fact that it is refillable. And despite all these qualities, Super Grip G is still quite simple, with a streamlined design and very affordable price. #Happywriting.